Polymer mag body lined with a steel sheath and steel reinforced feed lips. These look and work great. Has remaining round count window up back of mag. Sometimes when the Zombies are coming faster than you can shoot them all you can do is shoot em faster. When that happens, you will be so glad you have one of these. Holds 31 rounds of .40 Cal ammunition and will lock in solid and feed from all Glock .40 Caliber Handguns. 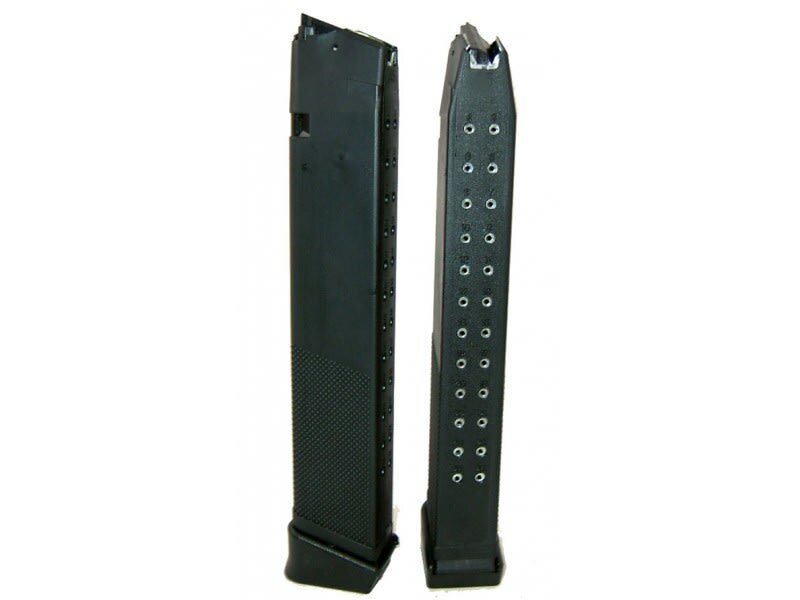 Even if you are not a fan of aftermarket mags you need a couple of these to keep loaded in your bug out bag. 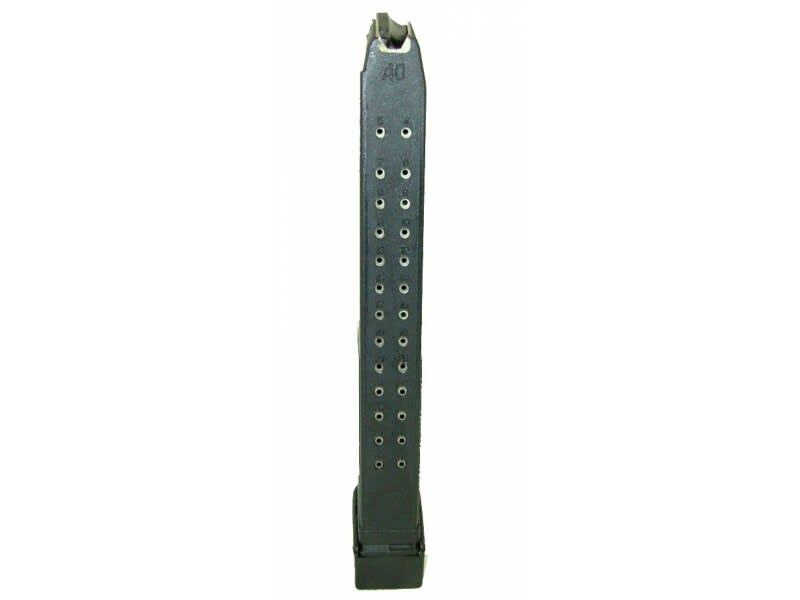 Polymer mag body lined with a steel sheath and steel reinforced feed lips. These look and work great. Has remaining round count window up back of mag just like the original. These work great and the price is right too. Probably the most under priced item for the value in our catalog. New Upgraded Next Generation Mags now in stock as of 05/20/2016. 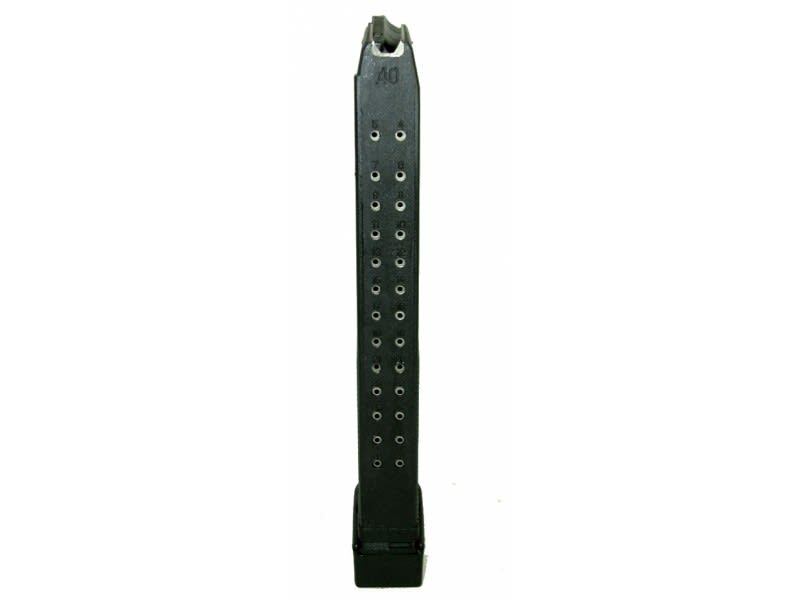 High Capacity Mag for all various Glock .40 Cal Pistols including the 22, 23, and 27 and 35's. 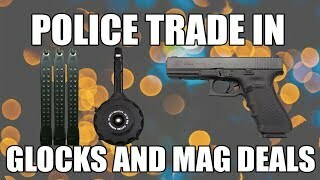 Mag extends out of mag well. 31 Round Capacity - Mfg Warranty New Upgraded Next Generation Mags now in stock as of 05/20/2016.